Do you love Catholic homeschooling conferences as much as we do? What an opportunity to page through displayed books, gathering ideas from products at each grade level. Unfortunately, we’ve learned over the years that most of our families have to rule out conferences because they can't find babysitters, aren’t able to squeeze a day-long conference into a schedule already filled with dental appointments, nursing and napping babies and other family concerns, and couldn't afford to travel the distance anyway. How do we provide a conference experience for these families? CHC has been trying to develop ways to provide conference-type displays for the majority of our families for whom conferences are out of the question, and also for the smaller number who could attend conferences if one were only available in their locale. After months of preparation and planning, we are excited to announce CHC’s Virtual Conference, which is not only an improvement in many ways over a "live" conference, but also is within the reach of all families, not just the minority. If you have always wanted to browse CHC materials at a conference, but were unable to attend because of distance, time, or family constraints, we invite you to visit our 365-days-a-year, free Virtual Conference. What does the Virtual Conference feature? CHC offers interactive grade-by-grade guides to the curriculum in each grade level that can be explored as your schedule permits, accessed at any time of the day or night, and can be referred to as many times as you like, at no expense to you. Learn about CHC materials without standing in line to talk with a representative who may or may not have personal experience with that product. Simply click the "print" button at any time to print sample pages of each book in the core curriculum. If, for example, you are interested in first grade lesson plans and texts, you can go online and have immediate access to numerous sample pages and descriptions of how the materials "work." These guides can be viewed in the comfort of your own home, without pressure of time constraints or interruptions, and they are available not just on one conference day, but 365 days a year! Do you have homeschooling questions, too? Our Virtual Conference webpage includes answers to a myriad of homeschooling questions, and other support features, available year-round. 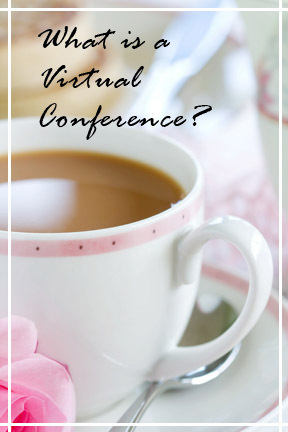 What does the Virtual Conference not feature? FAQ: Do you have a homeschooling question? Did you know that our small, family business is as much an apostolate, a "mission" to spread the life-giving Truths of our Holy Faith, as it is a business? CHC was founded in 1993 with one simple goal: to aid and support Catholic families in educating their children for eternity. Gathering from the wisdom and experience of homeschoolers living in all parts of the world, CHC developed a gentle, flexible approach to academics that avoids "burnout," and instead lays a joyful foundation, resulting in children who achieve at and above grade level. Did you know that CHC provides curricula to educate your children from Pre-K right through high school, at very affordable prices? Did you know that CHC has a support staff consisting of certified teachers to answer your homeschool questions at no charge and with no prior enrollment required? Did you know that there are no tuition or enrollment fees, simply the cost of the materials? While we’ve had positive customer commentary about the reasonable prices of our materials, we’d like to add that your purchases allow CHC to publish more Catholic homeschooling materials for your children. Besides publishing exclusive homeschooling materials, we provide free services and support to homeschooling families, available 24/7. If it were not for customer purchases, and spreading the word about CHC, we would not be able to publish solidly Catholic materials or provide these support services, at no charge to you, our extended "CHC Family." We are grateful, not only for the business interactions that we have with you, our customers, but the dear friendships and mutual support that have developed between us. It is our prayer that we can continue to serve you, as all of us, the entire "CHC Family," work together to win Heaven. As we receive positive comments from CHC families who have "grown" with us, we are filled with humble thanksgiving and gratitude to Our Lord, Jesus Christ, who daily opens the Way. "I have used Kindergarten, 1st, 2nd, 3rd, and the Middle School Years Lesson Plans. I used to use a very rigid completely packaged curriculum, but CHC gave me the confidence to pick and choose what I want to use for each subject with each of my children! .... I wish I had found CHC before I used the other program. CHC is much kinder and gentler, still very Catholic, and yet very complete. Oh, and CHC is at least half the price (if you buy each item listed and the lesson plans and compare to complete curriculum providers!)."